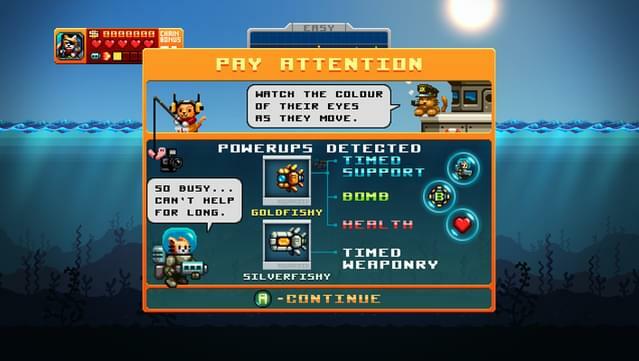 An Arcade mode with a weapons system you upgrade by collecting gems. 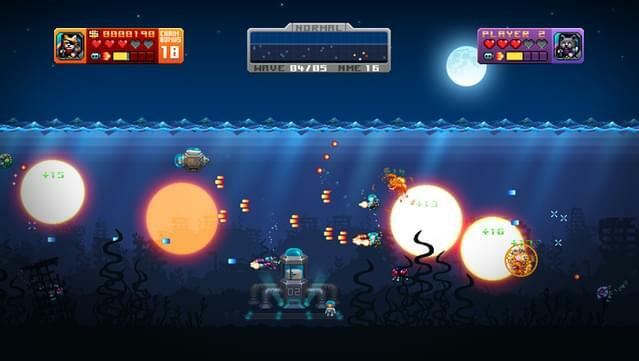 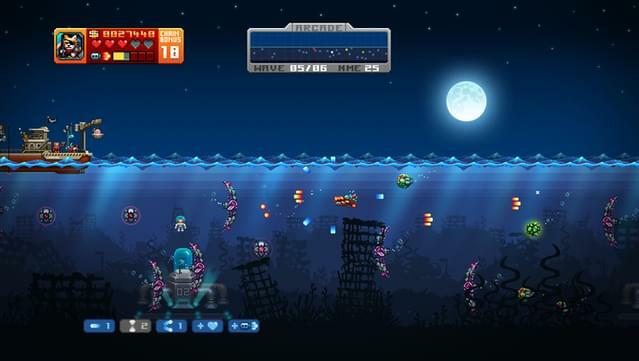 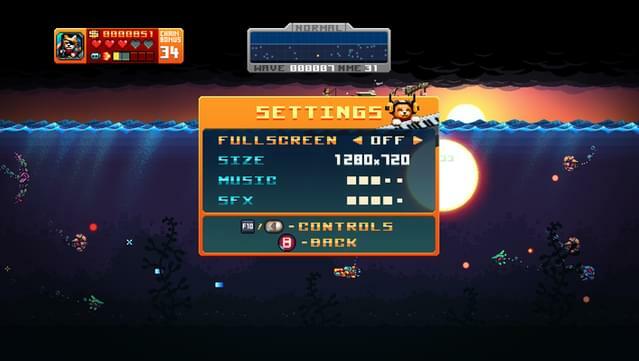 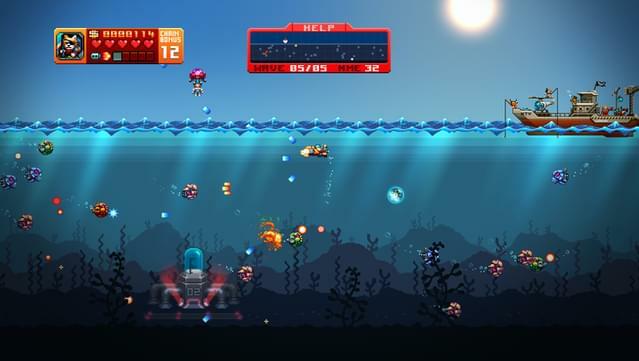 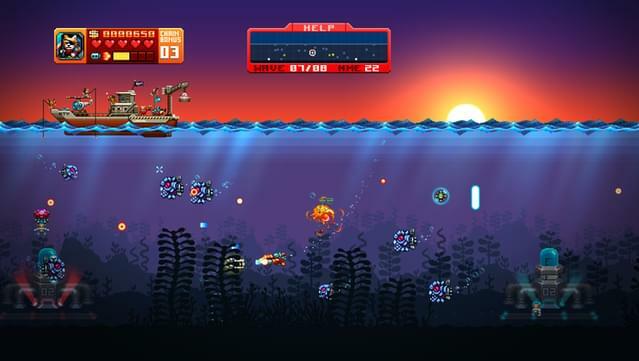 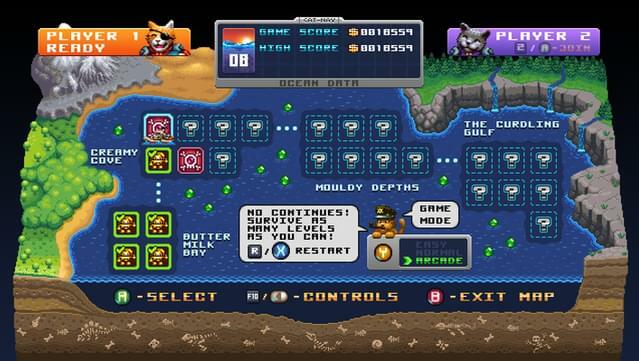 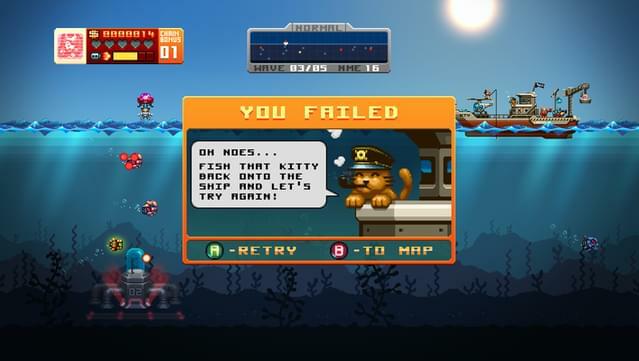 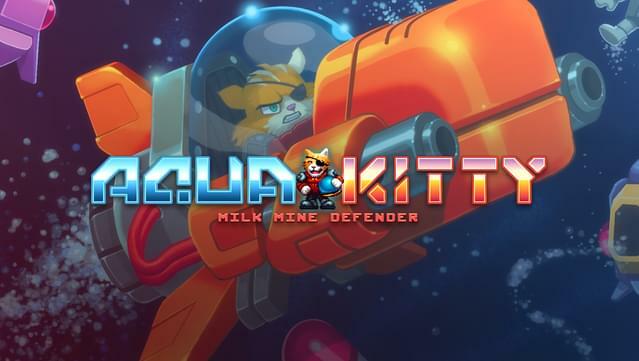 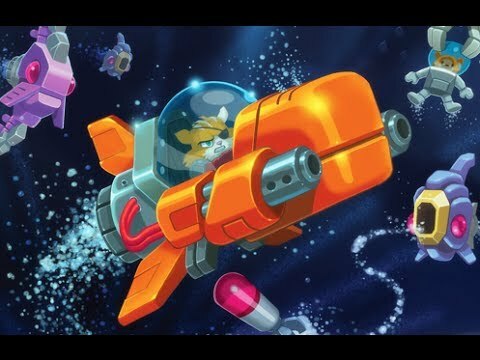 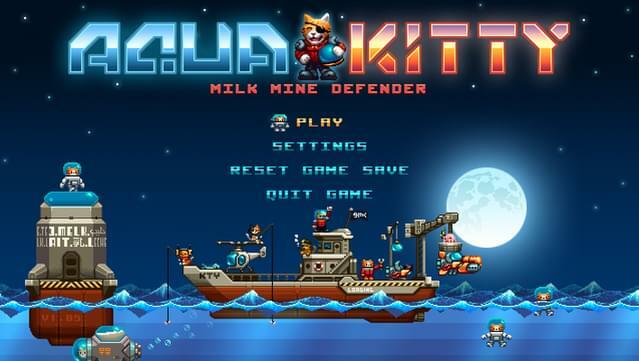 Fast paced horizontally scrolling retro underwater shooter with cats in submarines! 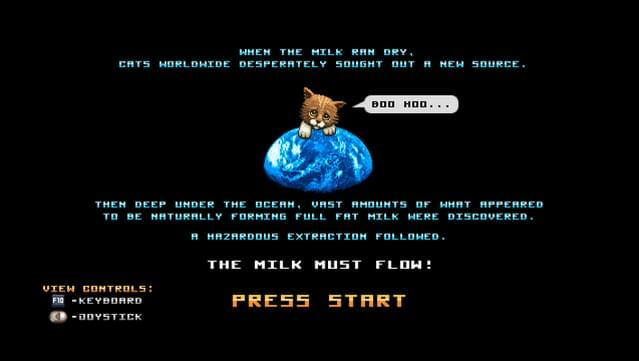 Amazing hand drawn pixel art combined with awesome chiptune audio influenced by the greats of the Amiga and C64 days. 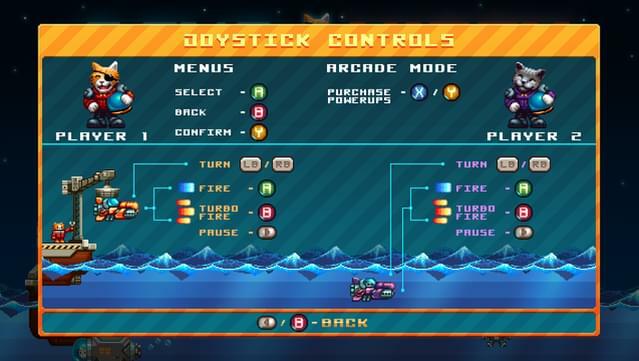 Optional 2 player local co-op, branching map progression, infinite mode, depth based powerup system... and more! 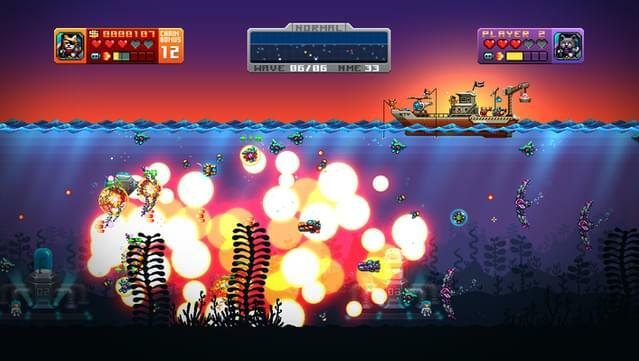 Copyright © Tikipod Ltd. All Rights Reserved.